A recent project for a customer needing to transport copper pins from a manufacturing machine into a bin was realised with a modular conveyor from Robotunits. The pins are falling via a chute into a funnel on the modular conveyor before being transported via a 45 degree incline to 1.5meter in height. This particular customer needed the bottom of the conveyor covered with stainless steel trays and the top with polycarbonate. The tensioning of the belt is done dynamically via small gas cylinders eliminating the need for a catinary sag of the belt. If you have a similar application please call us for further information on 03 9334 5182. 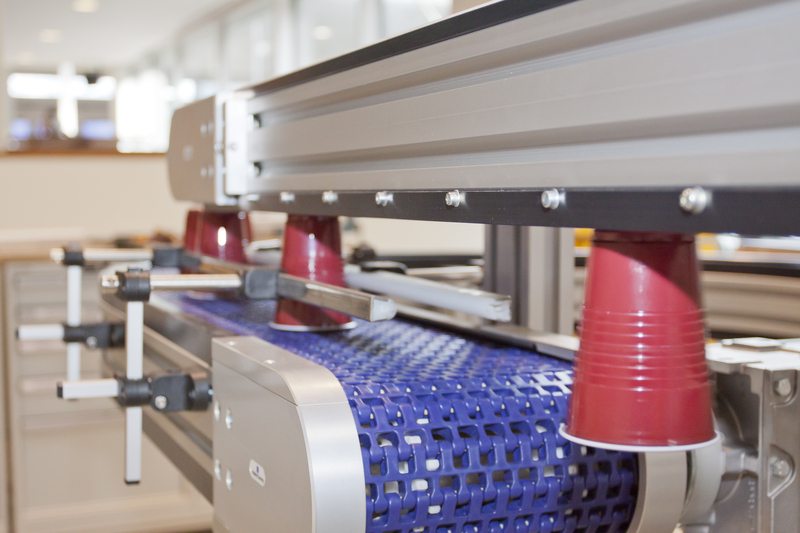 We have re-defined and perfected the concept of our range of Modular Conveyor Systems completely. 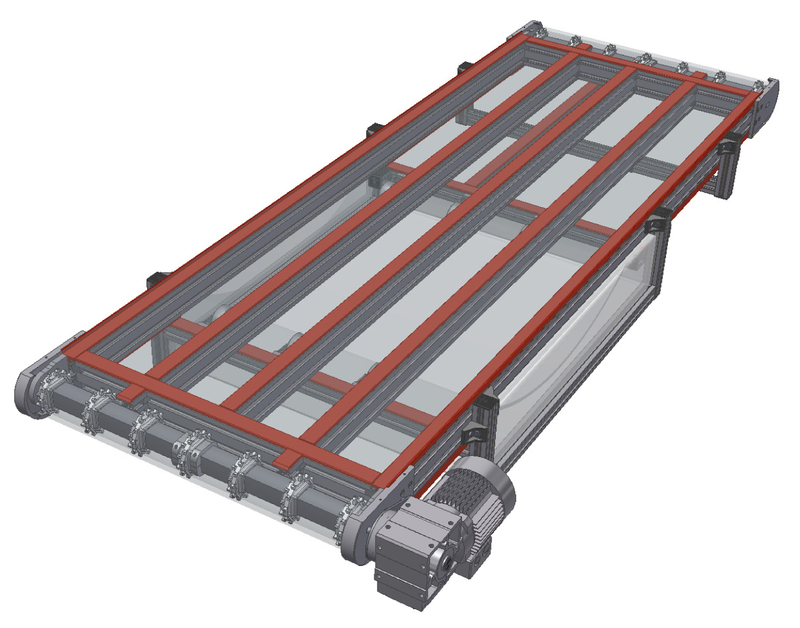 Of course each modular conveyor is still fully built to customer requirements and our customers will benefit from the high level of standardisation of individual components. The resulting short delivery times are second to none. The new low friction design allows for an endless number of layout options which can be driven by a single motor and a multitude of transport solutions can be achieved. The newly designed side-plates encapsulate the sides of the modular conveyor system belt at the drive and idle end, eliminating pinch-points completely. The newly designed guide strips minimise friction and subsequently keep belt abrasion and overall running noise at an absolute minimum. 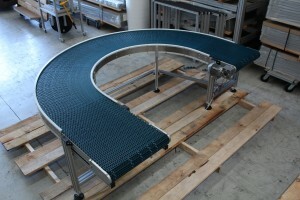 Robotunits has just released a newly developed range of curved modular conveyors. 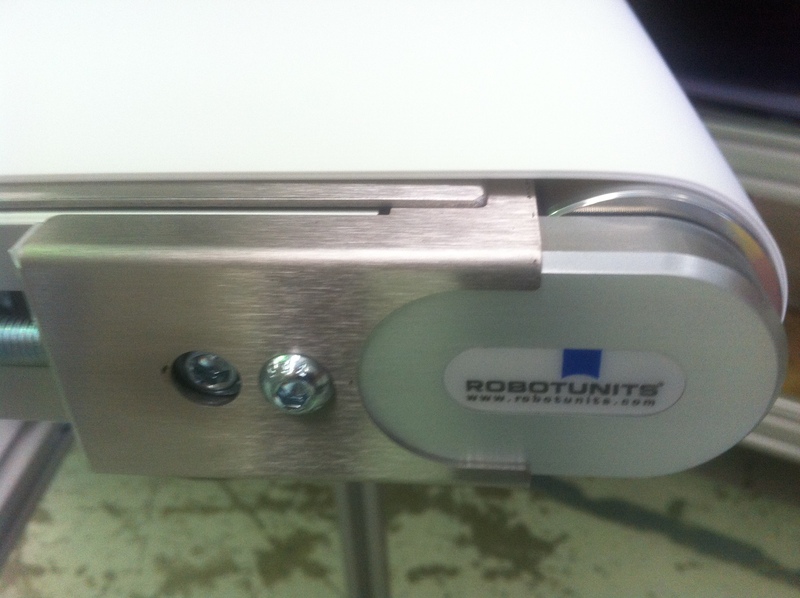 As with all other conveyors supplied by Robotunits every unit is built to exact customer specifications utilising a large number of our standard components. This allows us to stock most components and in turn enables us to deliver fully customised curved modular conveyors in as little as one week from time of order. 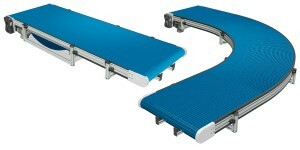 The new range of modular conveyors also feature many exciting new design elements, which enhance safety and reliability. The belt for instance is fully enclosed around all straight edges as well as around the drive and idle roller, which eliminates all pinchpoint issues. 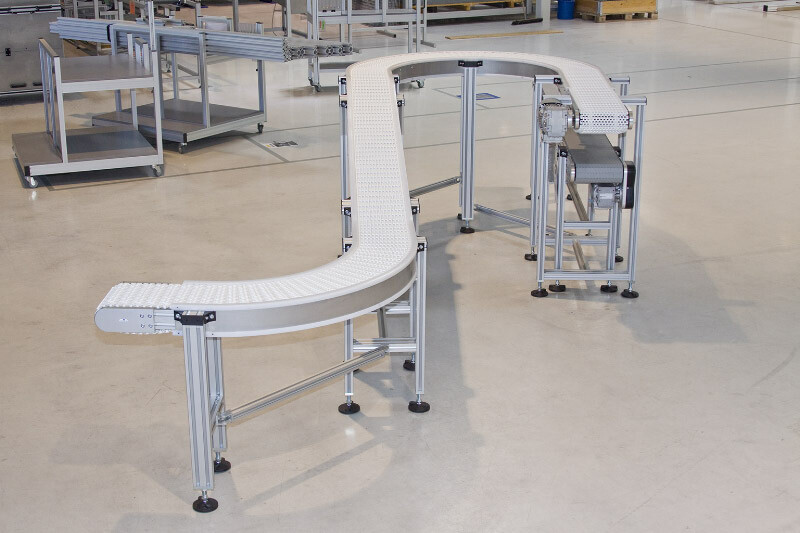 Another unique design feature is the fact that our new range of curved modular conveyors is designed without a catenary, which eliminates another area of safety concerns commonly seen with most modular conveyors. With all these exciting features and very competitive pricing look no further when deciding which modular conveyor supplier to choose for the job. No pinchpoints due to fully enclosed modular belt. 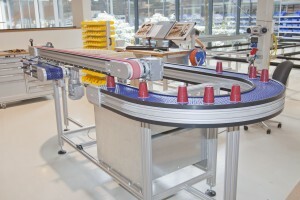 The NEW Curved Modular Belt Conveyor and Vacuum Conveyor from Robotunits. A lot of variables have to be considered when designing a belt conveyor. One area that requires a lot of calculations is the load a particular belt conveyor needs to carry. 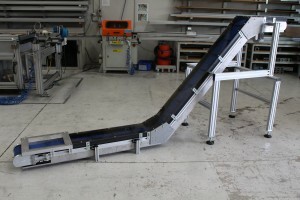 When carrying out belt conveyor load calculation, the total payload on the belt conveyor as well as the area the load will take up on the conveyor need to be considered. 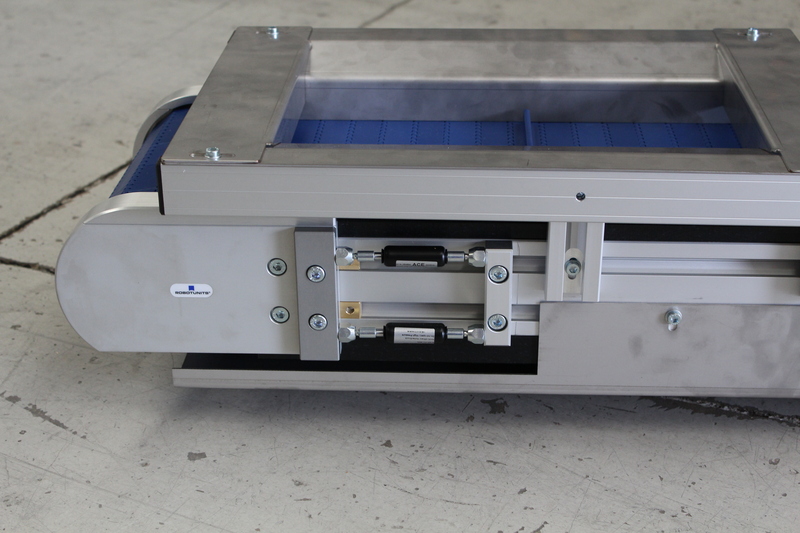 Most belt conveyors are designed with the belt being dragged over a stainless steel deck. This causes friction between the belt and the deck. Belt conveyors transporting goods in an accumulating fashion experience additional friction forces between the belt and the payload. All of this needs to be taken into account. There may be other factors but most of the time these variables are sufficient to calculate Motor and Gearbox specifications. The construction of a belt conveyor needs to be in relation to the load it needs to carry. 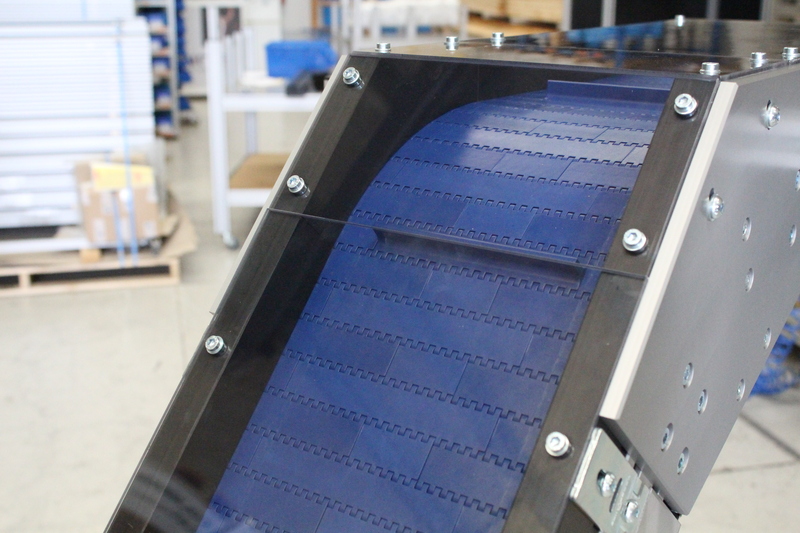 Most importantly, the payload and size of the conveyor will determine the size of the drive and idle rollers. This in turn will influence the size of bearings and other items like timing belts. A subframe for a conveyor carrying a high payload may also require additional strengthening to ensure its integrity. It should go without saying that the belt conveyor stand needs to be suitable so it can handle the load of the belt conveyor itself as well as the payload on the belt conveyor. All in all it has to be a sturdy frame, which ensures a solid construction and a safe working environment. Here at Robotunits we use an in-house designed computer program, which calculates almost all of these variables. In the rare case where not all variables can be calculated we can draw on years of conveyor building experience here in Australia as well as from our head office in Austria. If you have a conveyor project and find yourself trying to work out some of these factors then please feel free to call us with your requirements. Let us do all the calculations for you. Draw on our extensive knowledge and experience we gained over the years. Safety is continuously an issue in any manufacturing environment and safety features in any production machinery become more and more critical. Robotunits has just released a small but very effective product update for all belt conveyors. An additional stainless steel cover will be added to each side plate of the conveyor. This minimises the gap between roller and slide deck to a distance well below the allowable standard. For our customers this new safety feature can bring cost savings as well. Depending on individual onsite safety specifications, additional safety barriers around conveyors may not be needed with this new feature. This is the new safety feature on all Robotunits Conveyors. 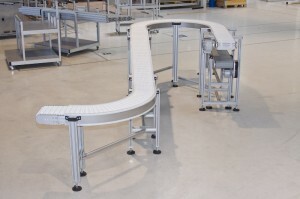 Belt Conveyor Tracking is imperative for the smooth operation of a belt conveyor unit. 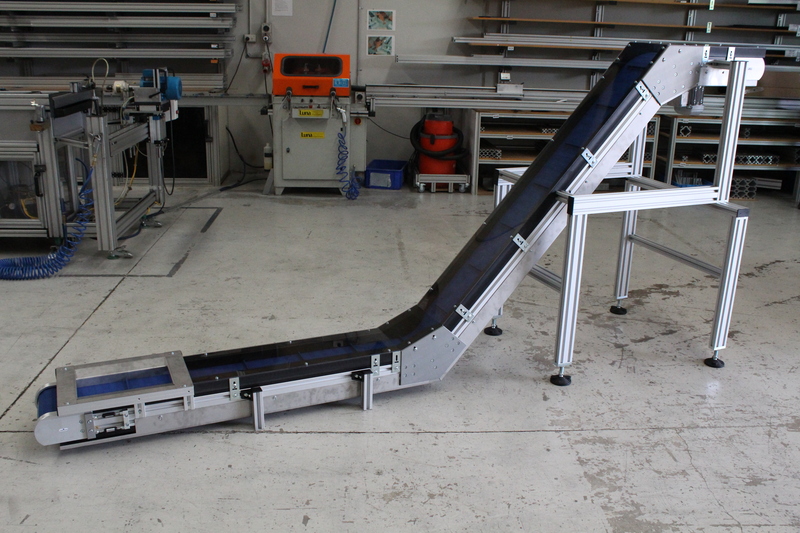 There are a number of things to consider in regards to belt conveyor tracking. Most tracking issues can be eliminated from the start with the proper design considerations. Once the belt conveyor is installed onsite there are also a few basic steps to be undertaken to make sure the belt tracks nicely. All drive rollers, as well as idler rollers need to be crowned to allow belt conveyor tracking. Most of our rollers are about 1mm bigger in the centre and tapered towards the outside. All Robotunits rollers are also made from steel with large wall thicknesses to guarantee that rollers will not bend when tensioning the belt. Bending of a roller would offset the crowning and create all sorts of belt tracking issues. A belt conveyor should be at least twice as long as it is wide to have a minimum ratio of 2:1. Anything lower makes belt conveyor tracking very hard. Here at Robotunits we generally keep to these ratios. There are a few scenarios when we can go a little below this ratio without the need for a tracking strip. Should a ratio below 2:1 be required we design the belt with a tracking strip. This is a PVC strip bonded to the underside of the belt. The rollers have the relating groove turned into them. This will guarantee belt tracking. It has to be said that the belt should track on it’s own as much as possible without relying on the tracking strip. If it doesn’t then the constant side force applied to the tracking strip will eventually tear it of. So even with a tracking strip a belt conveyor needs to be set up correctly to make sure it runs smoothly. The manufacturer of the conveyor belts specifies certain tensioning criteria to maximize efficiency. Generally a belt needs to be stretched by about 0.3%. This can vary slightly depending on the belt material. The belt stretching is needed to ensure that the drive roller cannot slip and also to ensure belt conveyor tracking. A belt conveyor should generally be run in a “pulling” fashion. This means that the belt travels from the idle roller towards the drive roller. This is mainly to eliminate roller slippage but also greatly influences tracking. It is much easier to track a belt conveyor if run in a “pulling” rather then a “pushing” fashion. Generally a belt conveyor is tracked from the idler roller end. 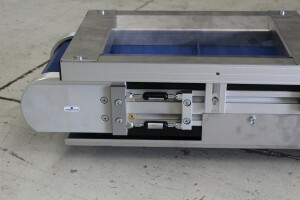 All Robotunits conveyors have adjusting screws on each side of the idler roller. These are used to tension the belt and also to fine-tune tracking. Should a belt wander to one side simply tension the belt on that side a little bit more. A small adjustment often makes a large difference so start with quarter turns. Do this while the conveyor is running. Allow the belt to settle in for a while and readjust accordingly. There are further details in the conveyor manual supplied with each of our conveyors. Please check your conveyors at least once a week to make sure the belt conveyor tracking is still maintained. It will guarantee a smooth and trouble free operation of your conveyor unit. PDF of Belt Conveyor Tracking from the Robotunits Operations Manual. Extract from the Robotunits Conveyor Manual describing the belt conveyor tracking procedure. When installing a conveyor in your manufacturing environment it is of course of utmost importance to make sure that the belt conveyor safety is considered in every possible way. This includes the safety standards the conveyor was built to but also includes the way it is installed onsite. After all, even a belt conveyor built to the highest standards and adhering to all the relevant safety standards can be installed onsite in a way that creates unsafe situations. These can lead to injury or worse and of course need to be avoided at all cost. Here at Robotunits we can only control the manufacture of the conveyor itself. We do this by designing and building all our conveyors according to a number of European as well as International Standards. All of these standards are listed in the operating instructions, which we ship with every conveyor. Please make sure you read the manual from front to back and consider all aspects of the Belt Conveyor Safety. We do recommend you conduct a Risk Assessment once the conveyor has been installed. This will reduce the likelihood of incidents and injuries even further and will reduce the likelihood of prosecution in the unlikely event of an incident. It will also lead to more efficient business processes, which will ultimately increase your bottom line. We wrote this post as a guide to get you started when considering Belt Conveyor Safety. It is my no means comprehensive and is not intended as a legal document. You MUST conduct your own research and make sure you get legal as well as technical advice when installing belt conveyors. The correct installation according to all relevant laws is your responsibility. 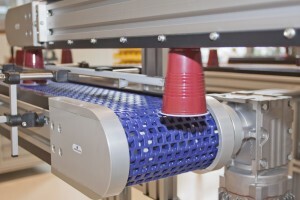 New Belt Conveyor Safety Guard installed on Robotunits Conveyors. The production line for Britax Childcare, Australia’s leading supplier of child restraints and strollers was recently upgraded by Robotunits in an effort to increase its production efficiency. An improvement of the production line in Britax Childcare Ltd was recently carried out to increase the line’s throughput and ultimately improve the company’s production efficiency. The upgrade was meant to facilitate the elimination of manually-handled tasked, thus reducing the health and safety risks they presented. The project would also result in more production on the line, with more units produced each day and reduced labor costs. Britax Childcare is the umbrella body for Australia’s two leading nursery brands, Safe-n-Sound and Steelcraft. Safe-n-Sound is a world-renown designer and manufacturer of child restraints, while Steelcraft has been manufacturing prams and strollers since its establishment in the 1940s. Britax Childcare is largely involved in supplying nursery products and travel systems that include infant carriers and other accessories. As part of the project plan, Britax sent out requests to several suppliers to identify the most suited for the project. 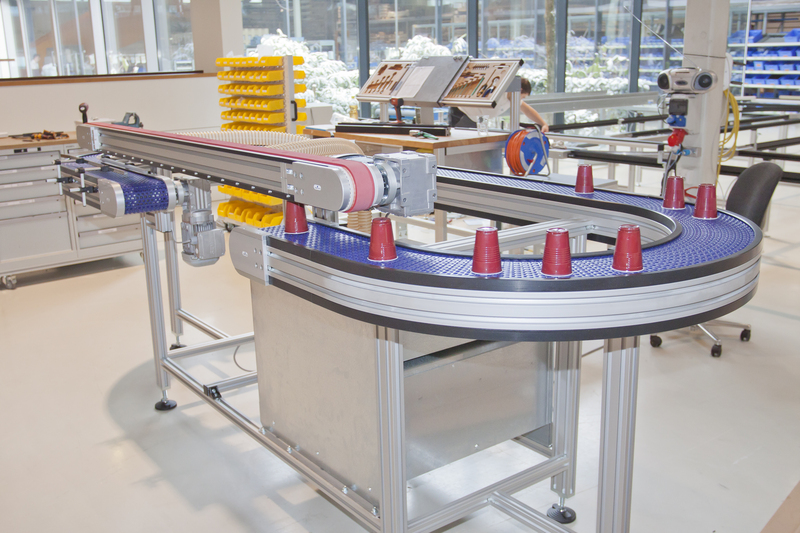 Robotunits was chosen, being the only supplier that delivered a complex solution to the request on time, taking only eight days from the time they received the request to when they delivered the finished solution. Most of the other suppliers that received requests could not even produce price quotes for the project within the time given. A large majority of companies that engage the services of Robotunits usually do so because their manufacturing output is slow. A second group that engages Robotunits’ services is companies with old machinery or companies whose manufacturing processes involve a lot of manual work, presenting many health and safety problems. A third group is companies whose machinery is unreliable, which results in expensive company downtime. In addition to the quick turnaround time by Robotunits, the quality of the final product was excellent. One of Britax Childcare’s production engineers, Manish Goregaonkar, described the advice provided by personnel from Robotunits as very professional and exceptional. He added that the on-site services provided by the staff were outstanding. You can find out more about Britax Child care here. If we can help you with any production line upgrades or other conveying related questions please call us on 03 9334 5182. Our friendly staff is here to help with any questions you may have. 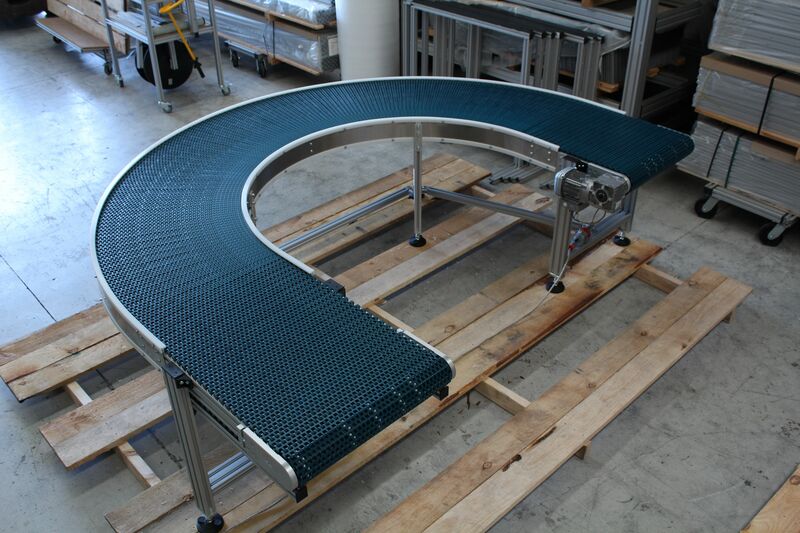 This curved modular conveyor from Robotunits was part of the manufacturing line upgrade at Britax Childcare. There are always many factors to consider when implementing a conveyor in a production environment. Every belt conveyor design greatly depends on those specific factors. 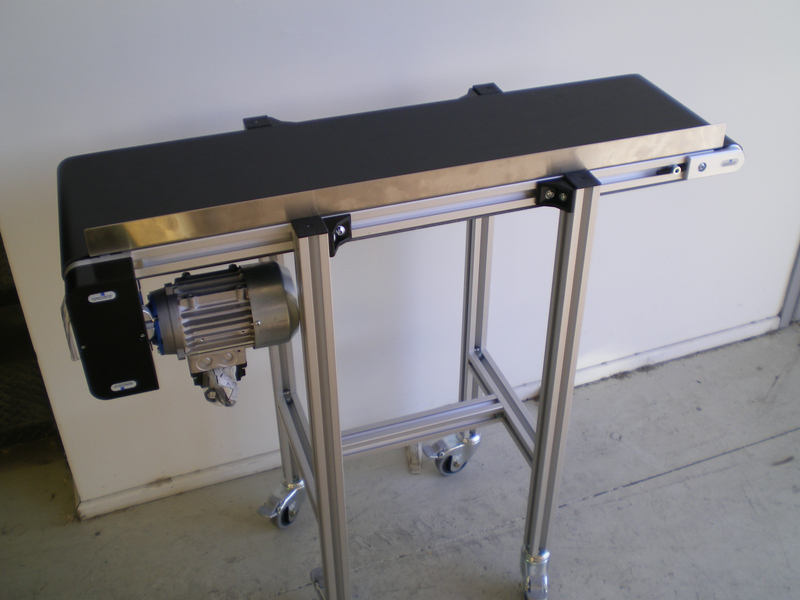 Here are just some of the things that need to be considered when designing a belt conveyor for your production site. Materials Transported. Are the goods that are to be conveyed packaged or loose and are they clean or dirty? What is the weight and size of the goods? Obviously these factors alone greatly impact the belt conveyor design. Workflow Considerations. At what speed do the goods need to be travelling along the conveyor belt? Will the goods be travelling directly across the conveyor or do they need to be accumulated on the conveyor? These are only very basic workflow considerations and there are many more questions to ask in this regard but again, the belt conveyor design greatly depends on the answers to these questions. Environmental Considerations. Is the conveyor inside a factory or is it outside? Does it need to be operating in a washdown environment as often required in the food industry? 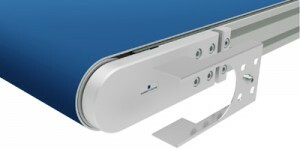 Will the conveyor be operated in a particular hot or cold environment? A cooling facility perhaps? Or how about space? Are there restrictions in regards to the factory floorspace you have available? There are many environmental factors which may affect the belt conveyor design. A good belt conveyor design starts at evaluating all those and more factors. Here at Robotunits we specialise in understanding our customers exact needs. We ask all the hard questions long before we even attempt to offer a solution. This sound really obvious but unfortunately in today’s market place this doesn’t seem to be the norm any more. 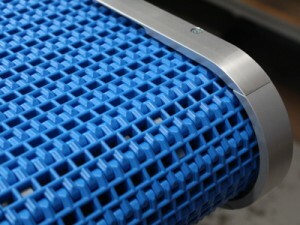 If you are considering of implementing a belt conveyor at your workplace make sure to call us. We will make the process really easy for you all though we will have to talk about all the above considerations. 1) Serial Number and Type of Belt Conveyor. Individual manufacturing details are stored on our servers. In case of a very rare breakdown we can quickly retrieve the specific details and organise replacement parts straight away minimising expensive downtimes. 2) Safety Information. Applied manufacturing conformance standards are detailed in the Belt Conveyor Handbook pdf and printed version. Other important safety information in relation to the mechanical and electrical design are also specified. Safety considerations when cleaning the conveyors are also included. 3) Transport and Assembly Instructions. 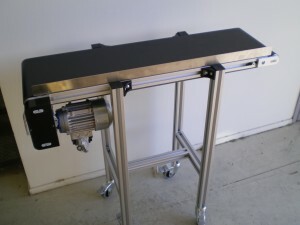 Belt Conveyors need to be handled with care at all times even before they are operated. 4) Operating Instructions. 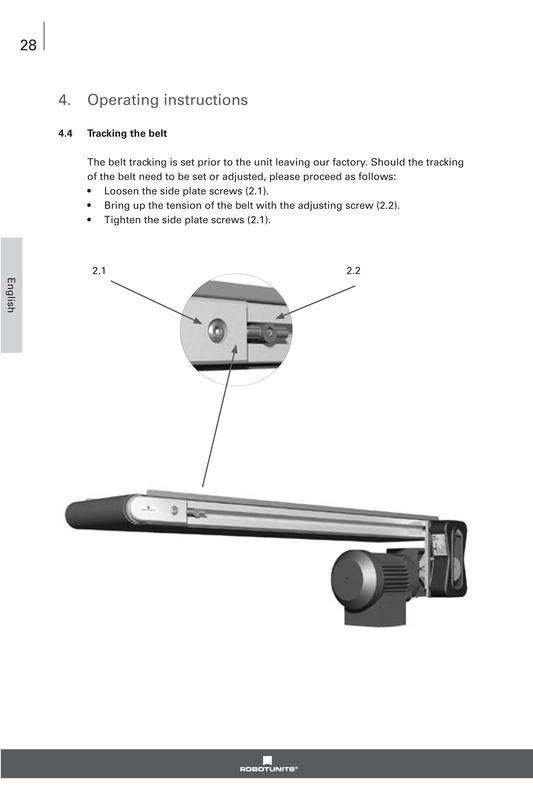 The Belt Conveyor Handbook pdf details all operating instructions, specifically the tracking instructions to make sure the belts track properly and don’t run off to one side. 5) Maintenance Schedule. Maintenance is an important part of any equipment used in a manufacturing environment. Belt conveyors are no exception. Maintenance intervals of bearings, conveyor belt, timing belt and electrical components are specified in the operating instructions. 6) Declaration of Conformity. All Robotunits conveyors are built to a number of EN norms to guarantee the highest quality and safety standards. The relevant norms are detailed in this section of the handbook. 7) Drawings. 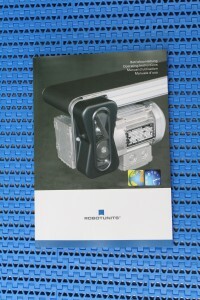 All assembly drawings for all types of conveyors offered by Robotunits are also in the handbook. This makes it easy for maintenance personnel to specify replacement parts should the need arise. All our conveyors are delivered with a operating handbook. It should be kept in a place easily accesible by staff installing and operating the conveyor. Should you need a replacement handbook please let us know and we organise a new one for you either as a printed version or as a Belt Conveyor Handbook pdf version. Alternatively you can download it here.